Dr Retro is the Mid-Century Specialist. 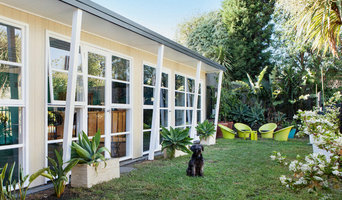 Since 2010 Secret Design Studio has been helping clients in Melbourne and Sydney with their mid-century and post-war homes which were built in the 1950’s, 1960’s and 1970’s. Our “Dr Retro House Call” service is for anybody who is thinking about renovating, or has started their planning, or building their renovation, who would like an experienced and professional opinion on any aspect of their project. Like an old fashioned doctor who makes a house call, we come to your home to answer your questions in a single visit of 2 to 3 hours. Our advisory services could cover anything from pre-purchase inspections, to a review of your plans, to assistance with colour and materials selection. We know from experience that there are a lot of designers out there who don’t really understand the many flavours of mid-century architecture as we have helped so many people with their retro homes. Some of these homes are well-known, such as those by Petit and Sevitt, Robin Boyd, Chancellor and Patrick, and also unkown homes that were done by speculative project builders, and everything in-between. We offer a complete service to our clients. If required, we will oversee the project to its completion - offering advice and guidance to you through the process to ensure that your home extension is delivered on time and to your expectations. Simply look at our gallery and reviews to obtain an overview of our design skill and project management abilities. Whether you’re considering a partial or full renovation, the new home you’ve always dreamt of, or a sustainable contemporary new-look, we have the depth and experience to partner with you in creating and shaping space that will inspire for many years to come. In2 is an award-winning design firm with an uncompromising passion for human centered bespoke designs from residential to corporate and commercial. Creating modern environments with purity and clarity. With over 25 years experience in the industry, we have established a reputation for delivering innovative, contemporary design solutions. Our practice has a proven history across a variety of projects including commercial, corporate, retail, residential and multi-residential—from residential extensions to large commercial developments. Working closely with our clients, we ensure the same rigorous approach to all projects. Our extensive knowledge of materials and construction affords us to deliver quality and cost effective solutions over all facets of the design process—from concept through to the practical completion of the project. EME embodies the integrity of intelligent, efficient design. We create beautiful, sustainable buildings inspired by a process of dialogue and exchange. When we look at a space, we see the potential for a balanced relationship between innovation and function. For 15 years we have been working closely with our clients to create award-winning projects that above all provide enjoyment, beauty and efficiency. EME Design are Certified Passive House Designers, ensuring the highest level of understanding, design and documentation throughout the design and build process of your home. Our commitment and research over the past 20+ years into highly efficient buildings enables us to incorporate the best features of Australian passive solar design with passive house principles. 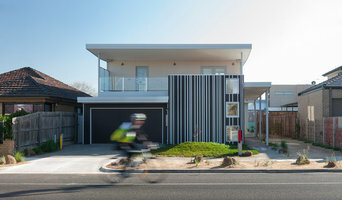 Our homes can be fully opened and naturally ventilated with the appropriate weather conditions, or can switch to super-efficient passive house mode to enable a comfortable indoor environment year-round. Custom designers for all types of housing projects from new homes, extensions/renovations, multi-residential, plus commercial projects of varying size. We think about our clients needs and how we can adapt those needs to suit their site. Altereco Design is a bespoke building design service that provides high quality, practical solutions for functional, efficient and sustainable living environments. We are fourth generation construction industry, so we understand the complexities of building. We are passionate about creating sustainable design solutions that meet your needs and budget, while also taking care of our planet. KatDesign is a small, flexible and friendly drafting company established in 2010. Our company's vision is to design a contemporary, unique and stylish home, connected to the surrounding environment which provides a flexible and comfortable living area. Our experienced and professional staff will help you with every stage of your project. At KatDesign, we incorporate a personalised view based on the special requirements of our clients in developing a quality product. From conceptual vision, to building permits, KatDesign will take you to a sustainable modern house with a professional finish using the latest in construction technologies. Design your Dream, Develop your Future. Welcome to House Design Solutions, established in 1987 and still offering a boutique architectural service to our valued clients in the EASTERN and SOUTHERN SUBURBS with a level of accountability not often provided by larger firms. Specialising in the Architectural Design, and Documentation of new homes, units and house extensions. Alternatively, our Design & Construct Service is offered to those who want certaintly on cost and build times utilising our network of fine builders to ensure the most apropriate craftsman for your particular project is introduced early in the process. Whether you wish to build new, extend or develop we offer a very personalised, expert service where the person who answers the phone is the same person who will design your dream. We employ clever design, smart detailing and good advice to help clients obtain their dreams, sharing industry “knowhow” with clients to ensure the build is successful. The suburbs are filled with great examples of homes we have created in collaboration with happy custmers as outlined in our website gallery and testimonials. Our areas of expertise are in sustainability and understanding the pathways of the sun in house design. Also we have tremendous experience in unit development, both multi-unit and two family home dual occupancy developments. Since 1988, Concept Studio principal, Steve Drougas, has been involved in building design developing unique individual designs and styles that are a direct result of successful relationships established with clients over the years. Our ability and experience to take projects from concept to approval coupled with our passion for design, allow clients to enjoy a one on one collaborative process, ensuring their dreams meet lifestyle and budget requirements. A large percentage of our work is referral based - a true reflection of the type of service our company provides and the level of client satisfaction achieved. As a boutique building designer, we specialise in taking the stress out the 'red tape' permit requirements and add the fun in the design 'creativity' phase for our clients. We help our clients to achieve their goals, whilst keeping it real. With over 20 years of experience in the industry, we have a reputation for delivering positive design solutions in all design styles. Our past projects are varied from residential, multi-residential, commercial and retail. Grollo Homes is our family business and we are now operating in our sixth decade in the building industry. From a modest start, we have become one of the most trusted and respected names in the industry. We have never lost sight of what’s important to the success of our business and that’s family. Grollo Homes is still very much a family business. In fact a member of our family will oversee every aspect of both the design and construction phases of your new home. Trust, experience, expertise, integrity and innovation are the qualities that our family has carefully cultivated and we make use of them in every project no matter how large or small. Luke Fry Pty Ltd is a multi-award winning, creative and experienced design studio currently working on a range of inspiring projects in Melbourne, Sydney, New York, Byron Bay and Victoria’s coastal regions. Director Luke Fry has obtained a wealth of invaluable knowledge working for some of Melbourne’s most renowned and awarded boutique architecture practices. Educated in Architecture, Interior Design and the benefit of also being a Registered Builder, Luke has a refined understanding of design and a passion for creating unique, individual spaces for his clients. Luke and his team of experienced designers specialise in all forms of residential, retail, hospitality and commercial projects, from conceptual design through to construction completion. This includes building design and interior design for new homes, renovations and multi-residential developments, approaching each project and its challenges on an individual basis. We approach each project with a genuine enthusiasm for the unique design solutions that arise throughout the design process, resulting in intelligent space planning, site responsive built forms grounded in refined simplicity and effortlessly detailed interiors that are light, warm and tactile, bringing joy to their occupants for years to come. 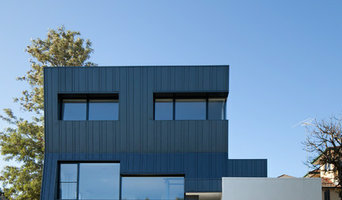 Kelem Design is a boutique architectural design studio based in the centre of Melbourne's Bayside district. Since its establishment in 2001 Kelem Design has developed a firm foothold in residential architecture design, specialising in luxury townhouse developments, contemporary home design, major renovations and extensions, as well as multi residential apartment developments. Kelem Design treats every new project with an individual approach and immaculate attention to detail, ensuring a quality service and client satisfaction. Our use of sophisticated 3d modelling software and a wide variety of innovative construction materials result in unique and accurate architectural designs. Years of experience in the architectural design industry allow us to guide projects from initial architectural concept design to a detailed and comprehensive documentation stage. Kelem Design specialise in guiding clients through complex town planning submissions, successfully securing planning and building permits in a timely fashion. We also offer other various residential design services such as kitchen joinery design, landscape planning and colour consultancy. As with all other professional services for home design and renovation, the best way to choose a building designer in Richmond, Victoria is to asses their past work against the style and requirements you have for your individual project. The role of building designers has evolved from traditional drafting services to building design that takes into account your lifestyle, budget and site condition. 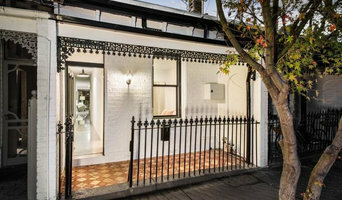 Building designers in Richmond, Victoria also often work with contractors to ensure that structural elements are in line with desired aesthetics. Once you have a shortlist of building designers in Richmond, Victoria, engage in face-to-face talks about your brief, to ensure you’re on the same page. To get the most value for your money, you want someone who understands you, agrees with your ideas – in relation to sustainable design, space and function – and has the qualifications and enthusiasm to translate ideas to paper and into a reality. Look through Photos of house designs to find projects similar to your brief. Then, click through to the professional responsible for your favourite picks, browse their latest projects and read reviews. Once you’ve created a shortlist of Richmond, Victoria building designers, strike up a conversation with each one and you’ll be one step closer to the house of your dreams!